As a drummer, Marcel A. Wiebenga (1978) conquered a modest place in music history as the drummer for semi legendary, harcore outfit Das Oath. 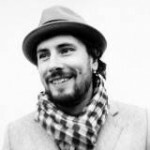 Since 2008 Marcel works at music agency Sizzer Amsterdam as business development director and music supervisor. As such he supervises music for agencies like Fred & Farid Paris-Shanghai, THJNK, Les Gaulois, Iconoclast, Markenfilm and for brands such as Audi, Citroen, BMW, Diesel, Martini and many more. We’re all about the music. Sizzer is a music agency, based on the canals of Amsterdam. We work with a network of established composers and offbeat artists, combining experience with creativity. We make music to moving images. Sizzer is driven by an inherent desire to create a unique sound for each brand. We’re on a constant quest to achieve top-notch quality and have been known to walk the line of controversy to achieve it. We have a passion for music like no other and, in combination with our eye for talent we’re focused on authentic craftsmanship. Sizzer partners with creative agencies and brands throughout Europe. Location doesn’t matter, but sharing a mutual ambition for the best, most stellar outcome does. We don’t have clients, we have partners in music.